The American Symphony Orchestra plays early works by major Romantics. 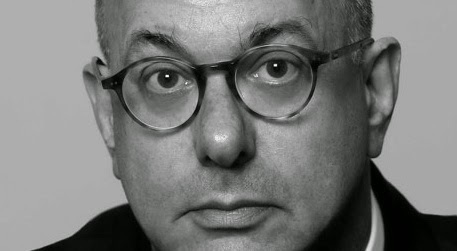 Conductor and college president Leon Botstein. Photo © American Symphony Orchestra/Bard College. The annual concert series by the American Symphony Orchestra at Carnegie Hall continued last Thursday with Opus Posthumous, a concert curated by music director (and Bard College president) Leon Botstein and featuring rarities unearthed from the early catalogues of Schubert, Bruckner and Dvořák. Although the works on this program (particularly the Symphony No. 00 by Bruckner and the Symphony No. 1 by Dvořák) have been recorded and are part of each composer's catalogue of work, performances of these pieces are a rare occasion indeed. Conor Hanick and the Met Museum celebrate Pierre Boulez. There is no living figure in the music of the second half of the 20th century than Pierre Boulez. On Thursday afternoon, the Metropolitan Museum of Art offered Pierre Boulez: A 90th Birthday Celebration with a triptych of works played by pianist Conor Hanick. This concert, featuring Mr. Boulez' first published works alongside 21st century compositions showed that the French composer's influence on the development of piano repertory remains strong into the modern age. An update on the current conducting carousel. Looking California: Gustavo Dudamel has signed an extension in the City of Angels. 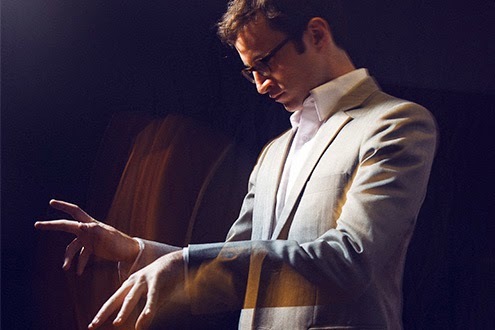 Photo of the conductor courtesy Universal Music Group. Elements of movie poster for To Live and Die in L.A. © 1985 New Century Productions. According to a report in Musical America and the New York Times today, conductor Gustavo Dudamel has deepened his relationship with the Los Angeles Philharmonic. 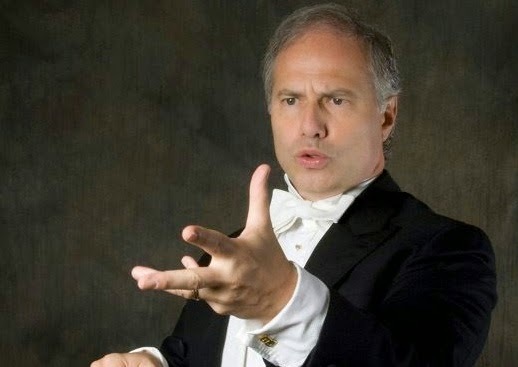 The dynamic Venezuelan conductor has changed his title with that orchestra to Artistic Director and signed a new contract extending his tenure with the orchestra through 2022. Lucia di Lammermoor returns at the Met. 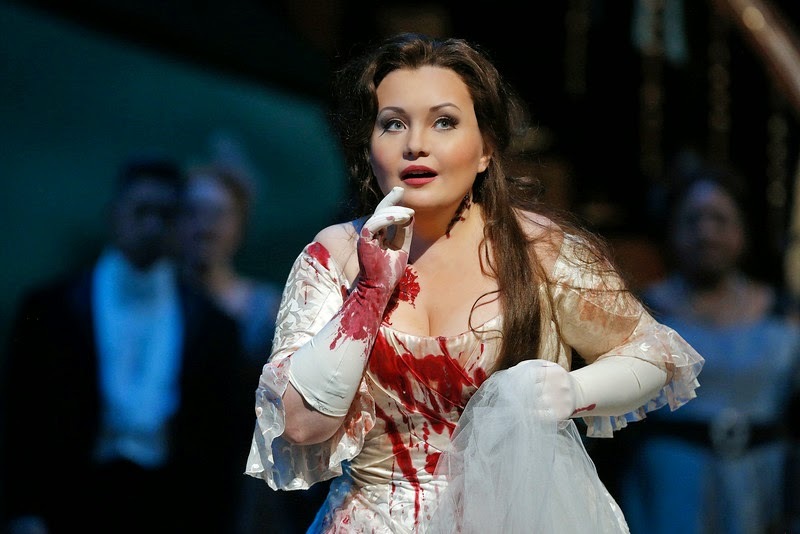 She's not the marrying kind: Albina Shagimuratova as Lucia di Lammermoor. Gaetano Donizetti's Lucia di Lammermoor has remained integral to the Italian opera repertory for almost two centuries. This is not because it's a great drama or a compelling story, but because its bel canto score is a superb vehicle for a soprano willing to go all-out in the opera's famous Act III Mad Scene. The Gotham Chamber Opera rehearses up a storm. 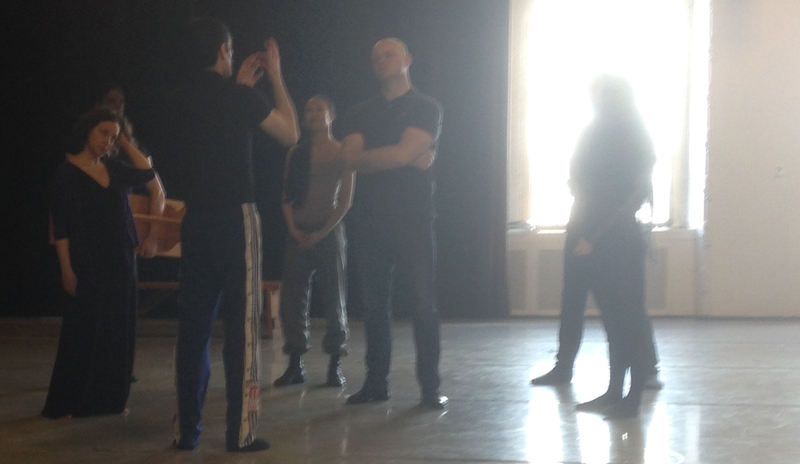 Jennifer Zetlan (left) and bass-baritone Thomas Richards as dancers look on. It is a freezing cold day in New York City, on the tail end of a bitter winter. Bright sunshine streams through the arched windows of the rehearsal space, on the top floor of an old loft building in the extreme west of Greenwich Village. Outside, drills whine and bite into brick. Inside are rehearsals for the world premiere (on March 27) of The Tempest Songbook, the third and final production of Gotham Chamber Opera's 2014-15 season. The Met revives Verdi's bleakest (and longest) opera...again. 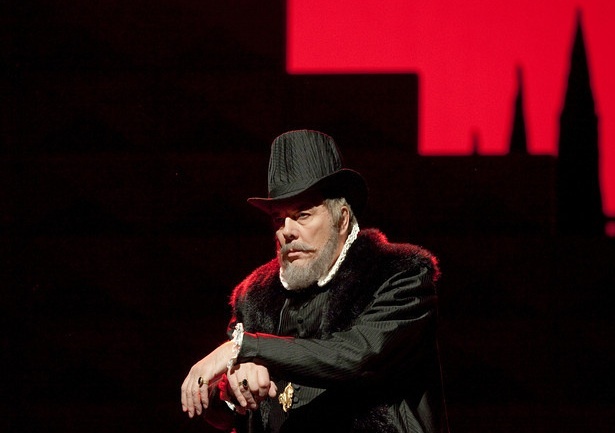 Ferruccio Furlanetto remains a staple of the Met's revival of Don Carlo. Verdi conceived of Don Carlos (its original title) as a five-act grand opera for Paris, the center of the operatic world in 1866. 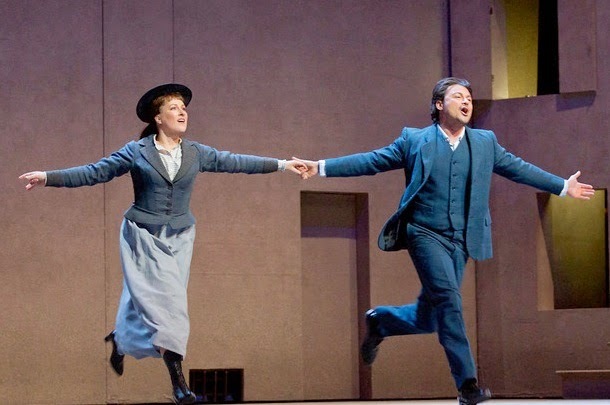 (The Met performs the opera in Italian, using the composer's five-act 1883 revision. 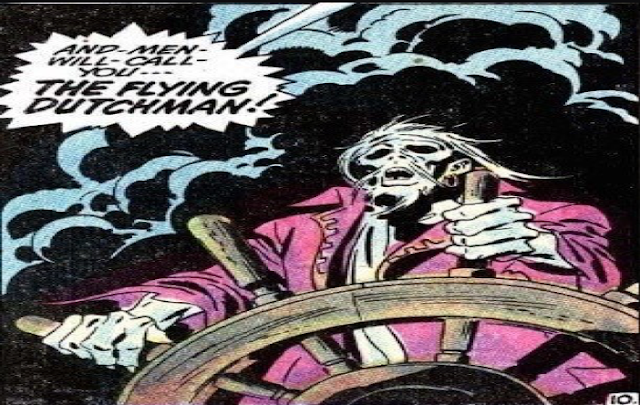 For linguistic reasons, the "s" disappears from the title.) There were rumors in the off-season that this revival would be sung in the original French...but no such luck, it's in Italian. The super conductor turns 90. Here is a list of his best recordings. 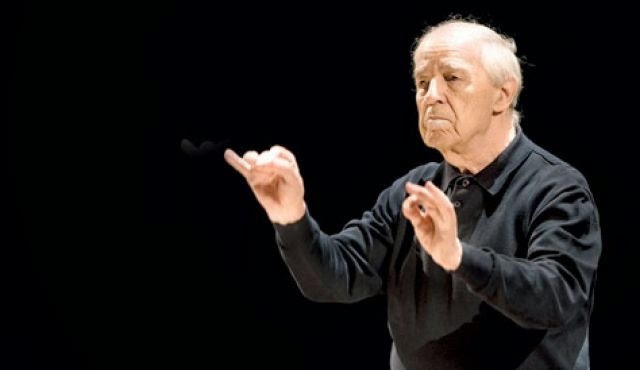 The great Pierre Boulez turns 90 years old today and we would like to celebrate with a list of the composer-conductor's greatest efforts on disc. Boulez is a composer first, a creator of new traditions and a breaker of old ones. His early music spawned the sound of the second half of the 20th century, his later works mark his status as an original thinker and tireless seeker. The St. Louis Symphony returns to Carnegie Hall. David Robertson. Photo by Keith Saunders © 2015 the Sydney Symphony Orchestra. On Friday night, a bitter (and hopefully final) blast of snow and sleet welcomed the St. Louis Symphony to Carnegie Hall. The orchestra and chorus are one of North America's strongest and yet underrated ensembles. Despite being the oldest orchestra in the Midwest (they're second only to the New York Philharmonic in terms of overall longevity, St. Louis does not have the glitzy cachet of "big five" orchestras like Chicago or Cleveland. However, they do have a rich sound, a strong work ethic and a music director, David Robertson unafraid of innovative programming. Alan Gilbert returns to the New York Philharmonic. Back in black: Alan Gilbert leads the New York Philharmonic. 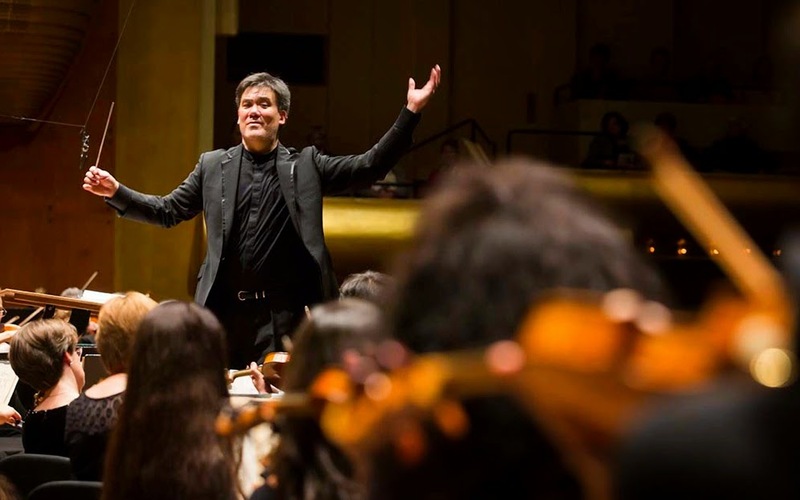 New York Philharmonic music director Alan Gilbert has been making headlines this year, not so much for his feats on the podium of Avery Fisher Hall but for the fact that he has announced that he will vacate his position in 2017. Still, the conductor, (who is the first New York-born musician to hold this post and the son of two former members of the orchestra) was all business at Friday's 11am matinée. 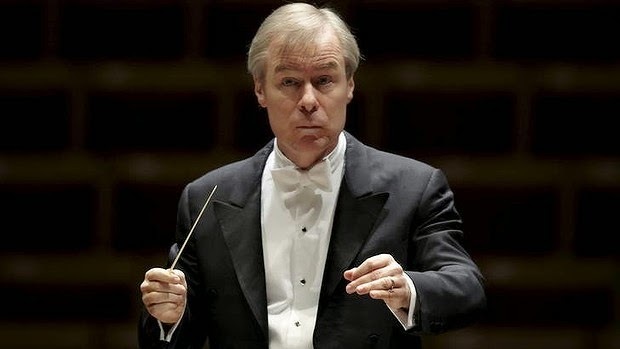 Looking fit and trim (and conducting in an open-necked shirt without the benefit of his usual baton, he led a complex program featuring classics by Richard Strauss, Claude Debussy and Maurice Ravel, along with a recent composition by next year's composer-in-residence, Esa-Pekka Salonen. A Tribute to Glen Roven at Spectrum. were celebrated at Spectrum on Thursday night. The evolution of the modern classical art song did not start in the concert or recital hall. No, the preferred performance venue was at the liederabend ("song evening"), a small-scale, informal salon performance with a singer, a pianist and the music of Schubert, Schumann or later, Brahms and Hugo Wolf. On Thursday night, the New York New Music Collective celebrated a modern song-master, Glen Roven with a program featuring world premieres of two song cycles by the Brooklyn-born composer. The LSO at Lincoln Center, with an unusual accompaniment. 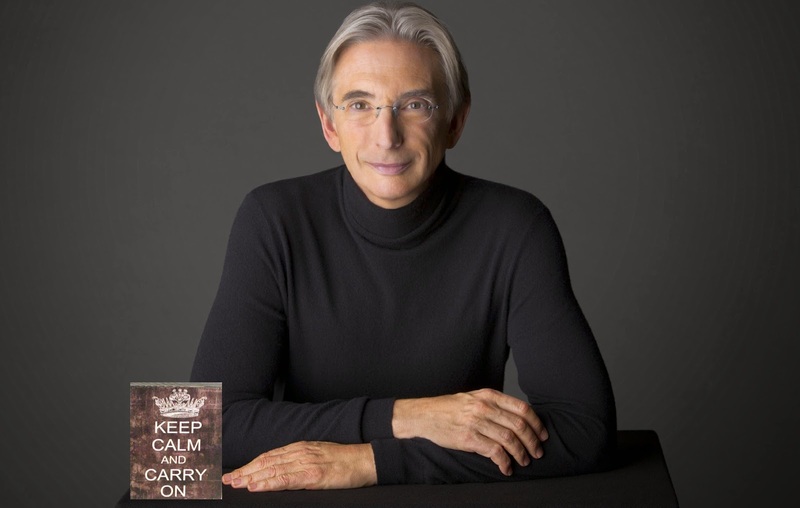 Just do what the sign says: Michael Tilson Thomas. Photo by Chris Wahlberg for MichaelTilsonThomas.com. The London Symphony Orchestra returned to Lincoln Center on Wednesday night, for a lavish concert (complete with gala pre-show dinner on the Promenade of Avery Fisher Hall) featuring a sturdy program of 20th century classics. With principal guest conductor Michael Tilson Thomas at the helm, the orchestra's program of Britten, Gershwin and Sibelius was perfectly planned for this donor-heavy crowd, designed to raise funds for Great Performers at Lincoln Center. This well-worn but classic Met production returns. 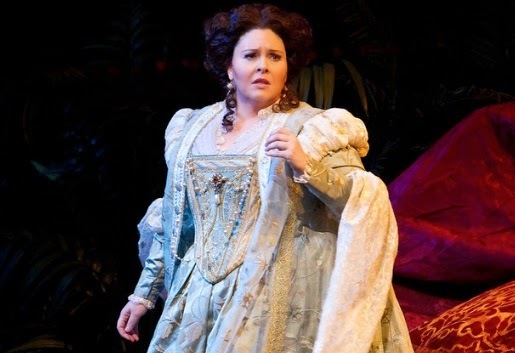 Soprano Angela Meade is Elvira in the Met's revival of Ernani. The Metropolitan Opera's ornate production of Verdi's Ernani returns with Francesco Meli in the title role and James Levine on the podium. Lovers of bel canto style will swoon at the return of Angela Meade in the leading role of Elvira. Johánn Johánnson's Drone Mass at the Temple of Dendur. 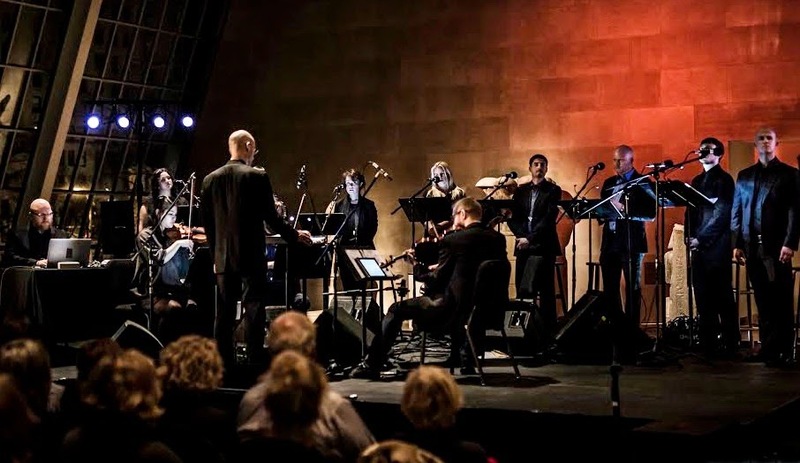 American Contemporary Music Ensemble in Drone Mass at the Metropolitan Museum of Art. The Temple of Dendur was built in 15 B.C. in Egypt. Since 1978, it has stood in New York City. A gift from the Egyptian government, the Temple occupies the Sackler Wing at the north end of the Metropolitan Museum of Art. The Temple and its Gate are housed in an enormous glass-and-stone space, surrounded by a reflecting pool, Egyptian artworks and watchful museum guards. On Tuesday night, the Temple was the setting for the world premiere of Drone Mass, a new work by the Icelandic composer Johánn Johánnson commissioned by the American Contemporary Music Ensemble for its tenth anniversary. The Piano Music of Pierre Boulez at Zankel Hall. on Monday night at Zankel Hall. Photo by Neda Navae © 2015 ECM Records. There are many words that can be used to describe Pierre Boulez. Composer, innovator, iconoclast, maverick, visionary all come immediately to mind following Monday night's recital at Zankel Hall. 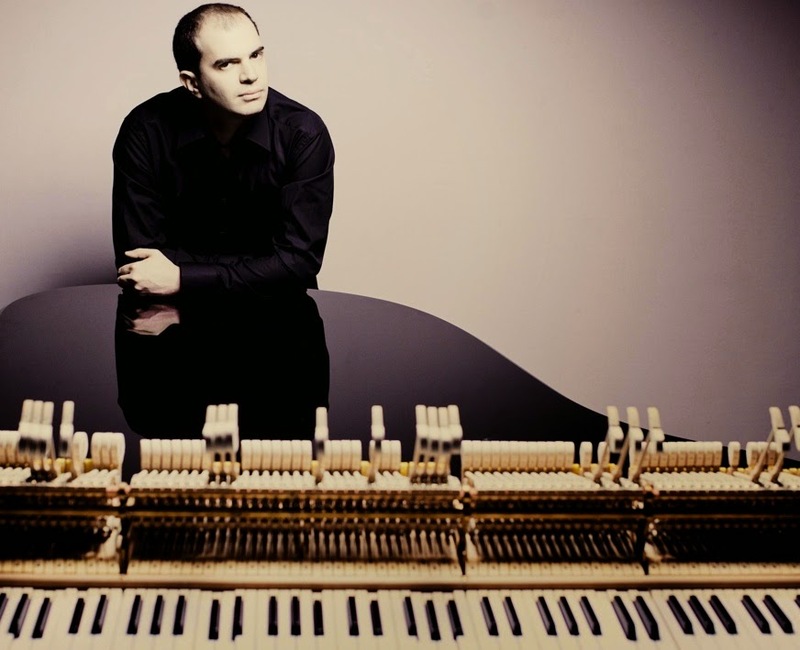 At this concert, pianists Pierre-Laurent Aimard and Tamara Stefanovich had agreed to perform the difficult feat of playing the composer's complete repertory for solo piano as part of their current North American tour. Thomas Adès conducts the New York Philharmonic. 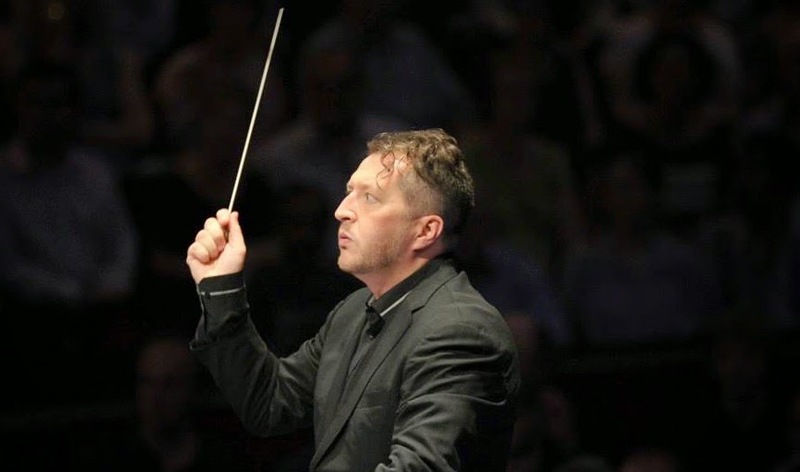 Carry a big stick: Thomas Adès conducts Totentanz. Photo from the premiere of Totentanz at the Proms, from the Royal Albert Hall. Thomas Adès is at the front rank of today's contemporary composers, thanks to bad-boy operas like Powder Her Face and The Tempest. On Thursday night, before a packed house that included Icelandic singer Björk and Metropolitan Opera general manager Peter Gelb, Mr. Adès led the New York Philharmonic for the first time, conducting the New York premiere of his cantata Totentanz with early compositions by Beethoven and Berlioz. The NJSO plays a matinee of Bernstein and Mahler. New Jersey Symphony Orchestra. Photo courtesy the NJSO. The composer Leonard Bernstein was a pivotal figure in the 20th century, not just for his own catalogue of symphonies, musicals and operas, but for his work as a conductor. 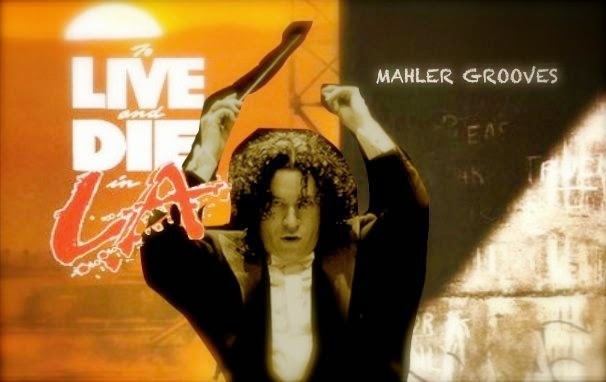 It was Bernstein who brought the large and muscular symphonies of Gustav Mahler to the attention of the general public, eventually making Mahler a cornerstone of the symphonic repertory. On Thursday afternoon, it was the turn of the New Jersey Symphony Orchestra and music director Jacques Lacombe to bring Bernstein's little-played Symphony No. 2 before their Newark public. Sir András Schiff plays Carnegie Hall. © 2012, icensed through Wikimedia Commons. 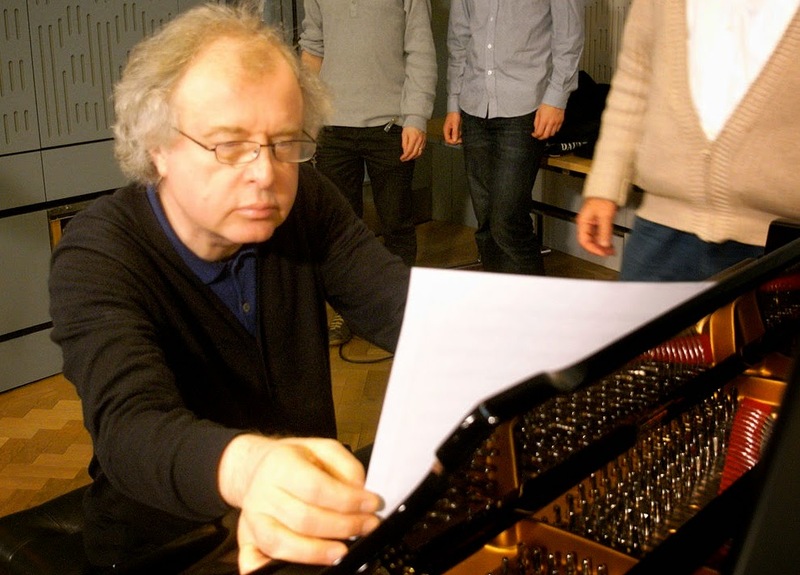 Sir András Schiff is one of the most revered figures in contemporary pianism, an international touring and recording artist with a vast CD catalogue and a reputation for cerebral programs that engage the mind and the ear at the same time. 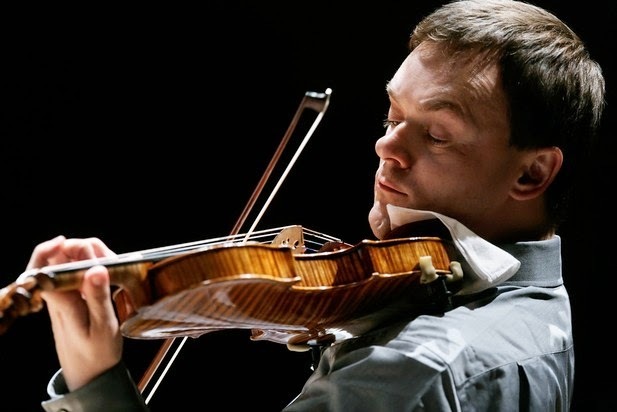 A former citizen of Hungary and later Austria, he is now a British subject, knighted by the Queen of England last year, in recognition of his longstanding service and expertise in a vast repertory from Bach to Bartók. Kirill Gerstein in recital at Zankel Hall. Kirill Gerstein and his hammered friend. The ability to navigate difficult passages on the piano with aplomb is a key to the life of a concert pianist. 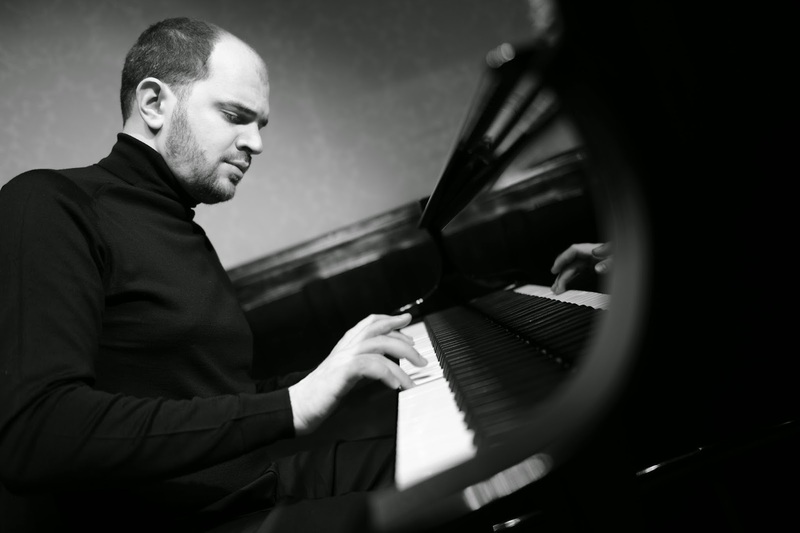 On Monday night, Kirill Gerstein visited Carnegie Hall's downstairs Zankel Hall with a program of works that stretched his technique to the limit. Mr. Gerstein is a competition-winning Russian-born artist, who has dedicated himself in recent years to the classroom. A recital from Mr. Gerstein is thus a rare event, and the pianist chose a program loaded with technical challenges. The MET Chamber Ensemble at Zankel Hall. James Levine on the podium at the Metropolitan Opera House. Photo by Jonathan Tichler © 2014 The Metropolitan Opera. 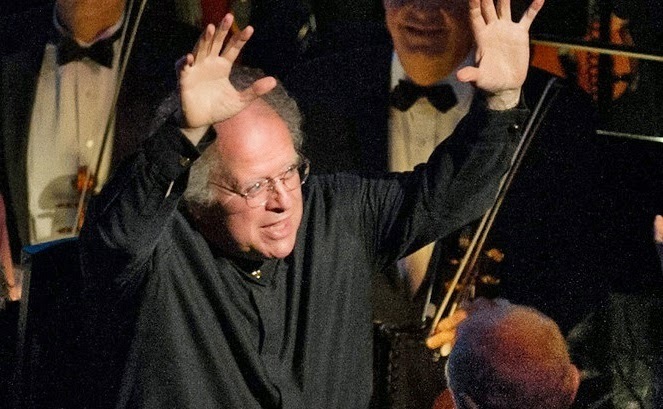 Within the constraints of his position as Music Director of the Metropolitan Opera, conductor James Levine can pretty much do as he pleases. On Sunday afternoon, he led the MET Chamber Ensemble and a group of young singers in a diverse program at Zankel Hall. Its focus: the development of modern music in the 20th and 21st century, from the early experiments of Charles Ives to the neoclassicism of Stravinsky, all the way up to modern experiments by John Cage, Elliot Carter and Charles Wuorinen. The Canadian Opera Company presents Semele at BAM. Temple maiden: Semele (Jane Archibald) awaits her lover in the Handel opera. Photo provided by Brooklyn Academy of Music © 2015 Canadian Opera Company. The rich history of China is a recurring leitmotif in the 500-year history of the Western art form of opera. 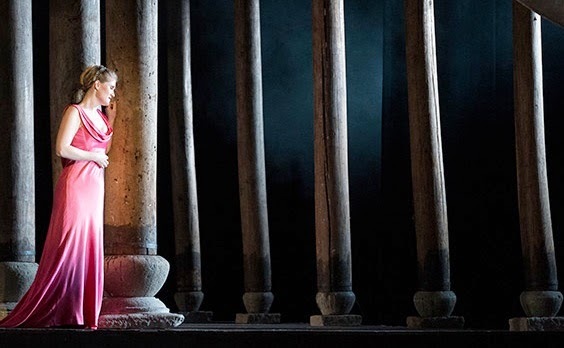 On Friday night, the Canadian Opera Company gave the second performance of its production of Handel's Semele, designed and directed by the Chinese auteur Zhang Huan. This production's arrival in New York is the cornerstone opera offering of BAM's spring season, and a chance for this city to hear this excellent Toronto-based company in a rare American visit. Daniele Gatti leads Ein Deutsches Requiem at Carnegie Hall. Slowhand: Daniele Gatti led the Vienna Philharmonic last weekend at Carnegie Hall. Last Sunday afternoon's concert at Carnegie Hall marked the end of the Vienna Philharmonic's three-concert Brahms-fest with that compser's Ein Deutsches Requiem. Brahms' longest and most challenging composition is a seven-part alternative to the Latin death mass, using German texts from the Lutheran Bible to offer comfort and consolation to the grieving instead of the (more usual) fire and brimstone. The Vienna Philharmonic plays all four Brahms symphonies. 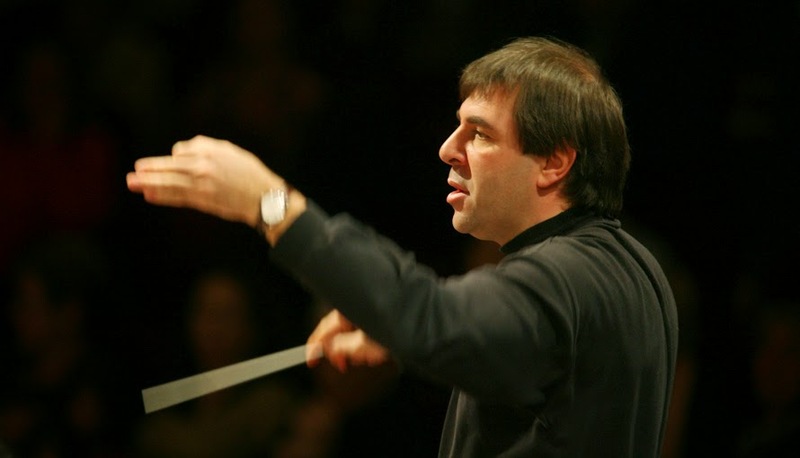 Conductor Daniele Gatti led the Vienna Philharmonic at Carnegie Hall. For this year's visit to Carnegie Hall, the Vienna Philharmonic chose to devote itself to the music of Johannes Brahms. 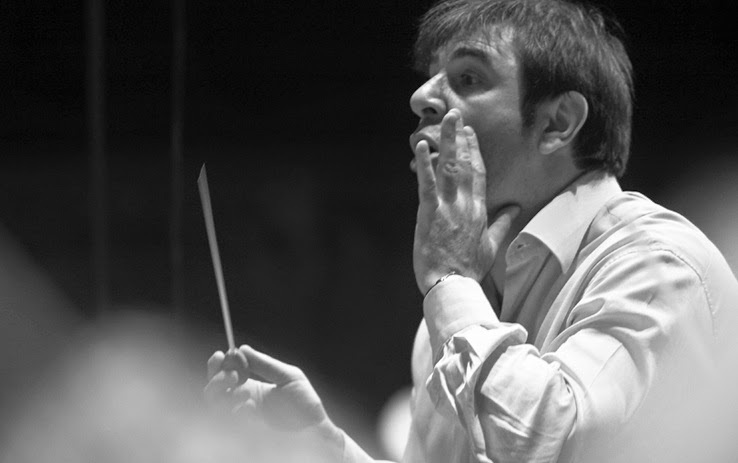 The first two concerts featured the four symphonies under the baton of Daniele Gatti, an Italian conductor known for his soulful interpretations of Wagner and habit of conducting without the benefit of a written score. The New York Philharmonic plays Sibelius and Brahms. The violinist Frank Peter Zimmermann. Photo by Klaus Rudolph © the photographer. The audience at the New York Philharmonic’s series of 11am Friday matinee concerts skews toward the conservative; music lovers gathered to hear timeless works, preferably by composers form the 19th century whose surnames begin with 'B' On Friday morning, conductor Sakami Oramo led the orchestra in just such a concert, a sturdy three-course brunch of Sibelius and Brahms. The Bad Girl is back...and she's German! trip the light fantastic in the Met revival of Manon. Diana Damrau takes over the title role in the Met's 2012 production of Massenet's Manon. This revival is conducted by Emmanuel Villaume, and features Vittorio Grigolo in the crucial role of the Chevalier des Grieux.